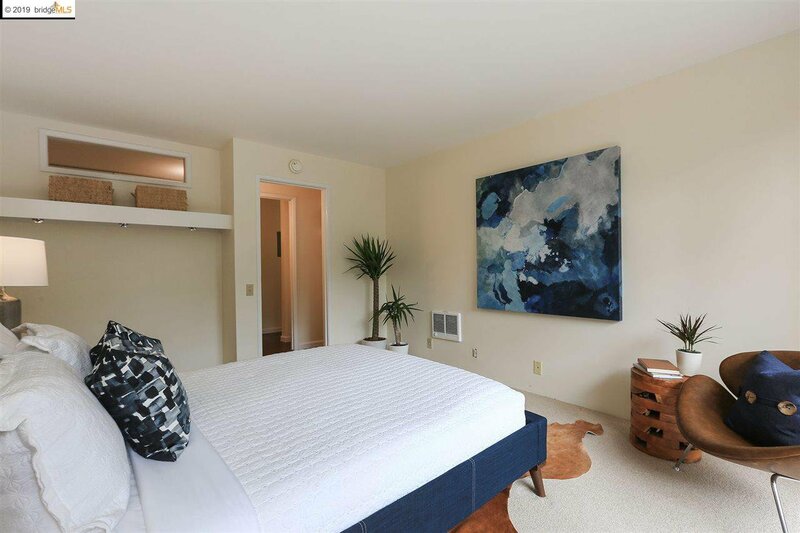 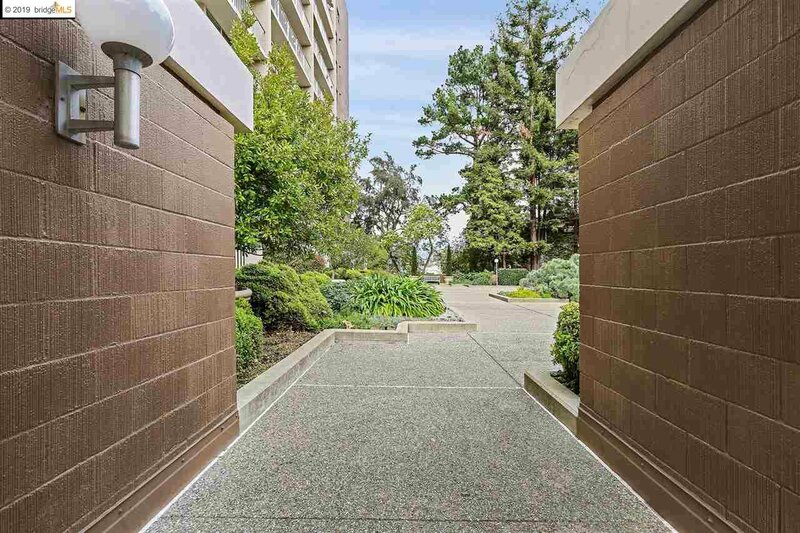 Offering security, community space, parking and storage, the Kelton Court building and this unit are an excellent opportunity for dynamic, stylish Oakland living. 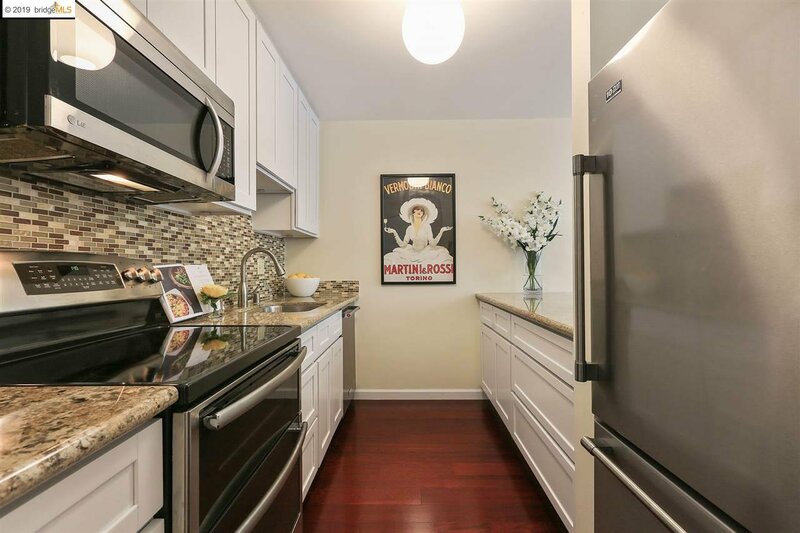 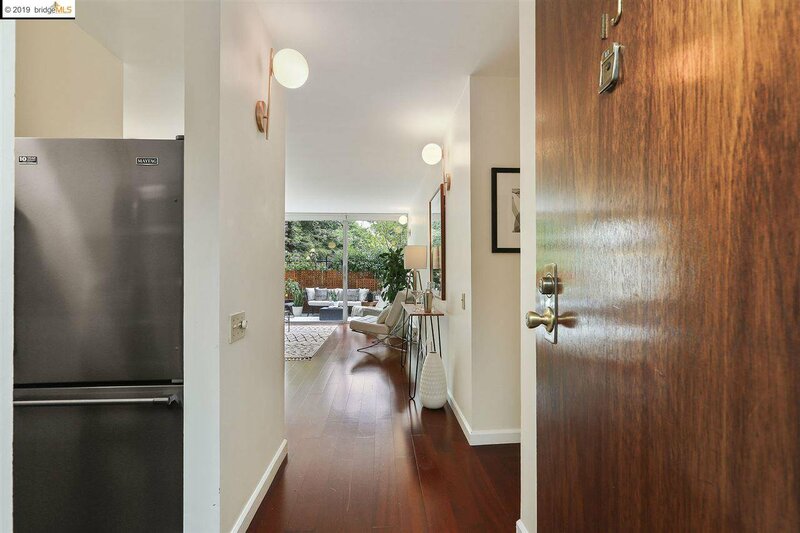 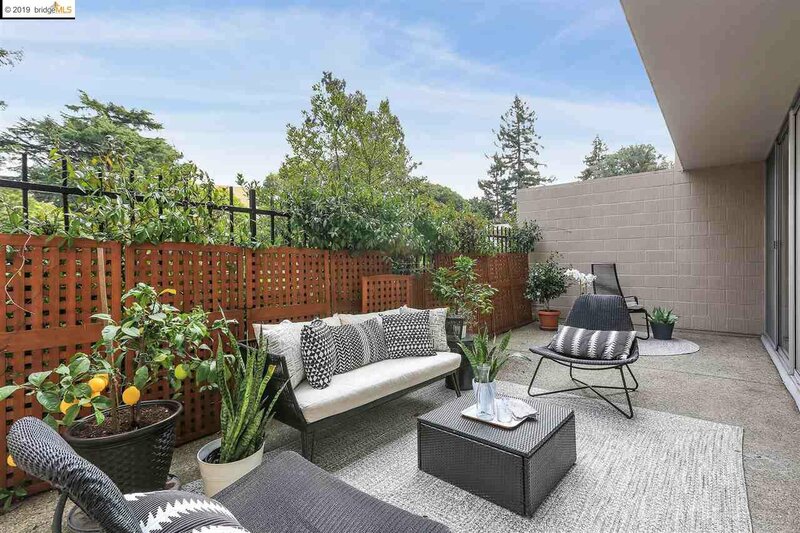 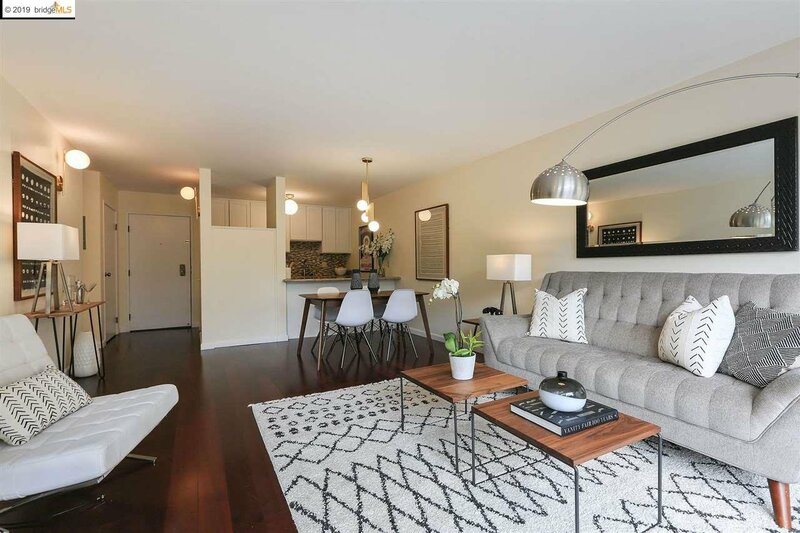 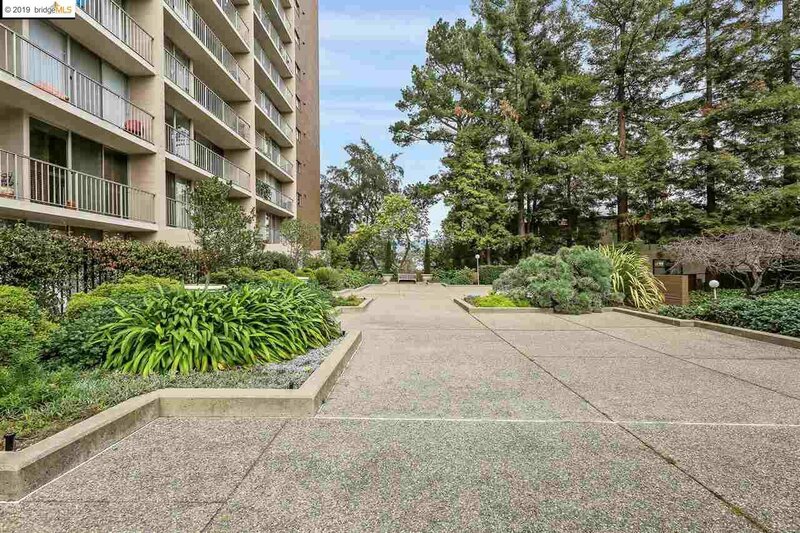 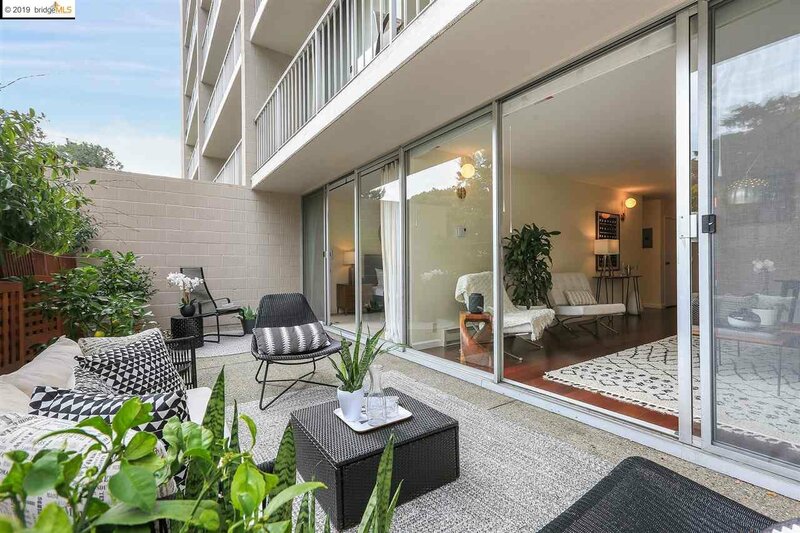 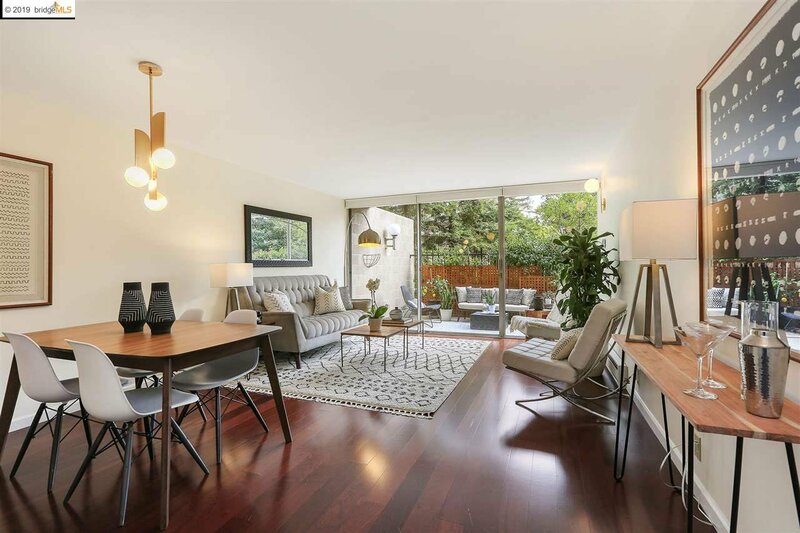 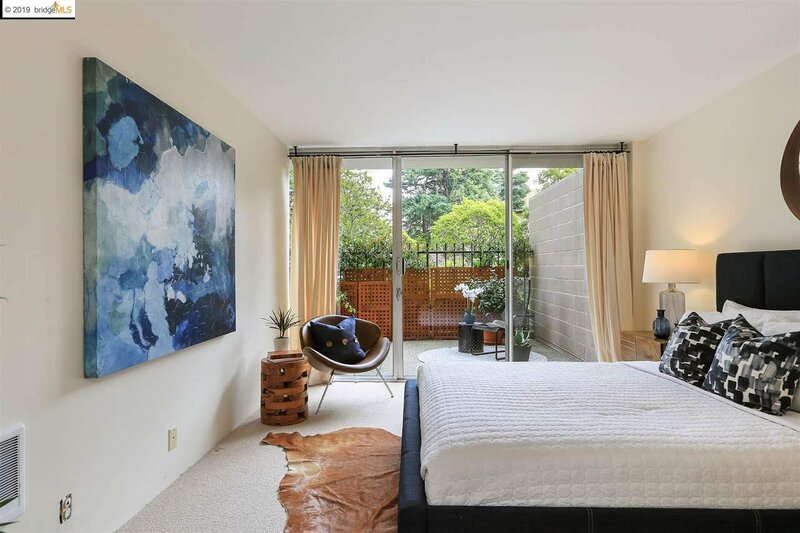 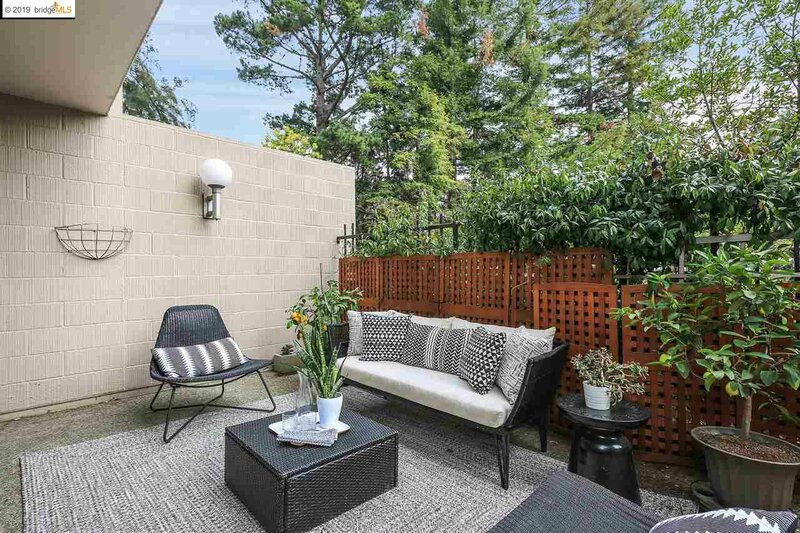 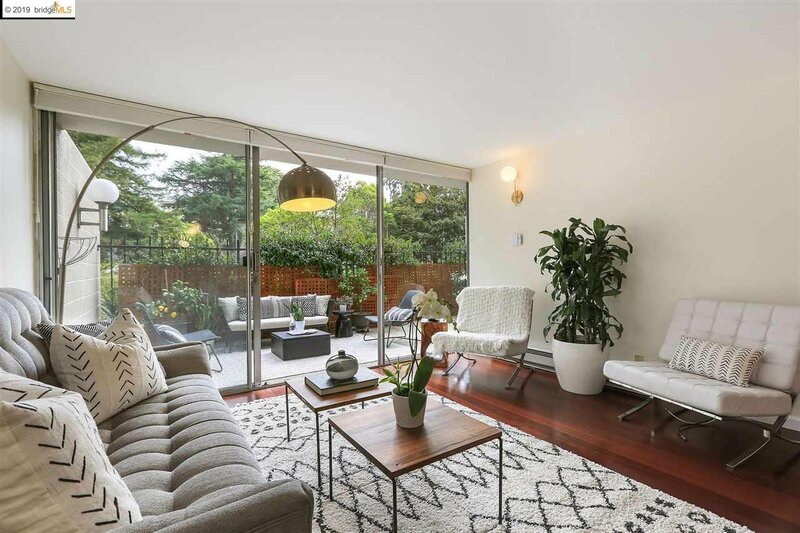 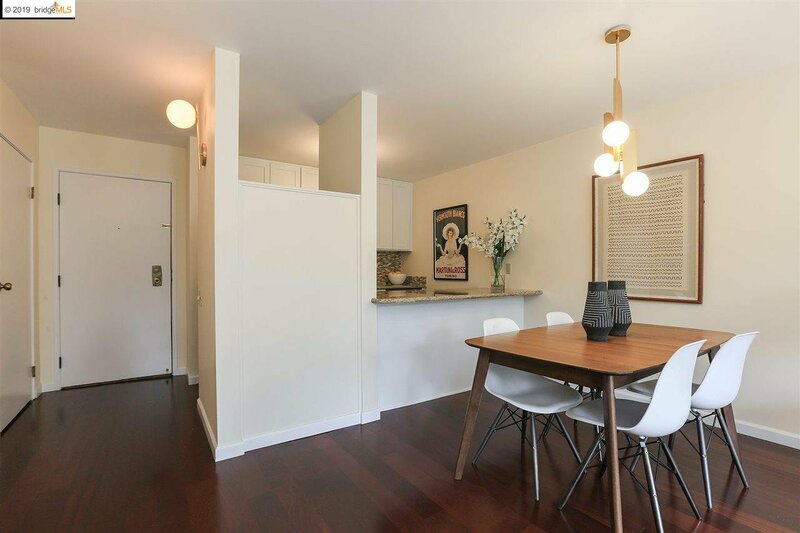 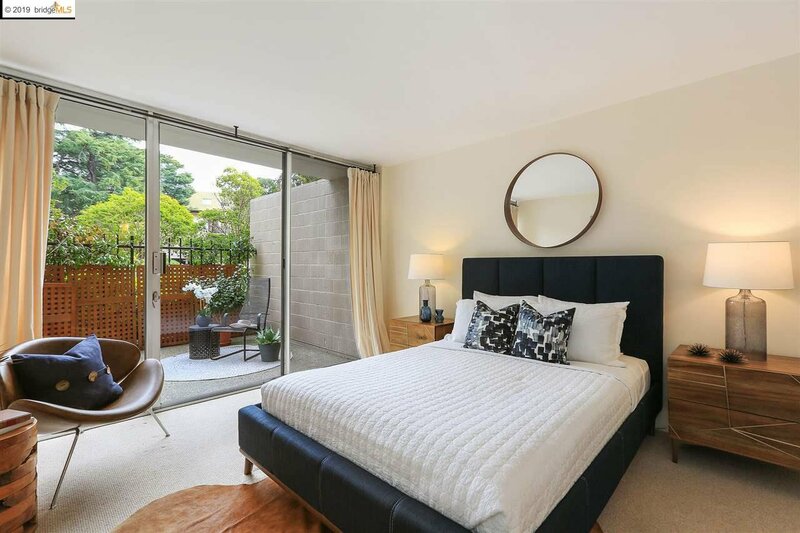 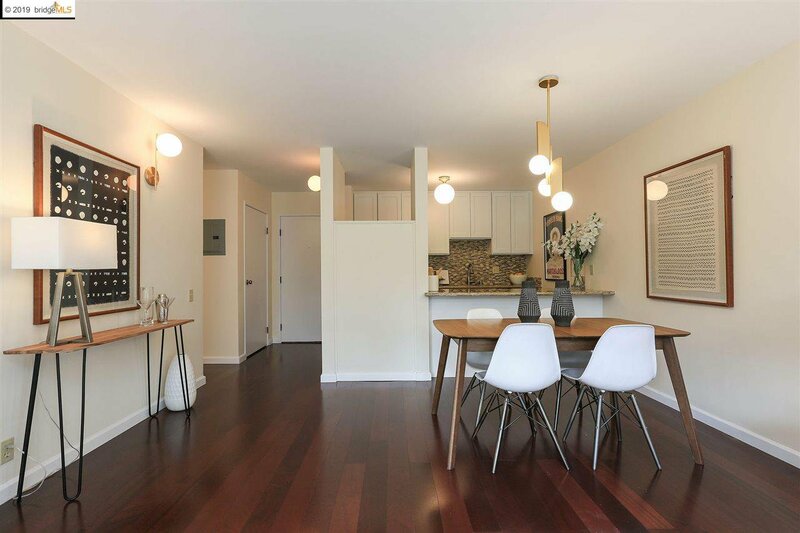 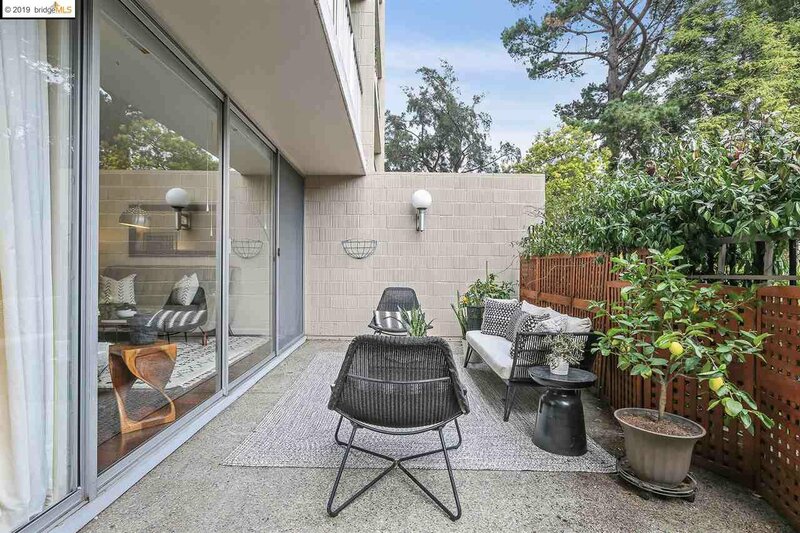 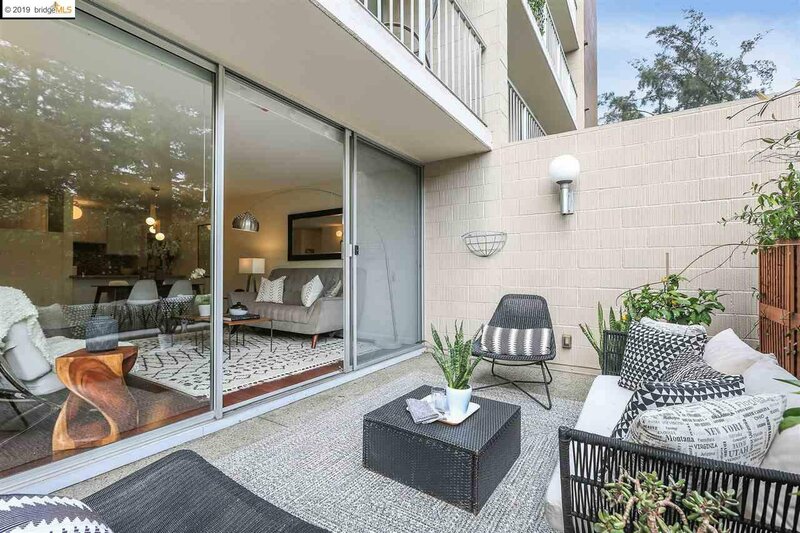 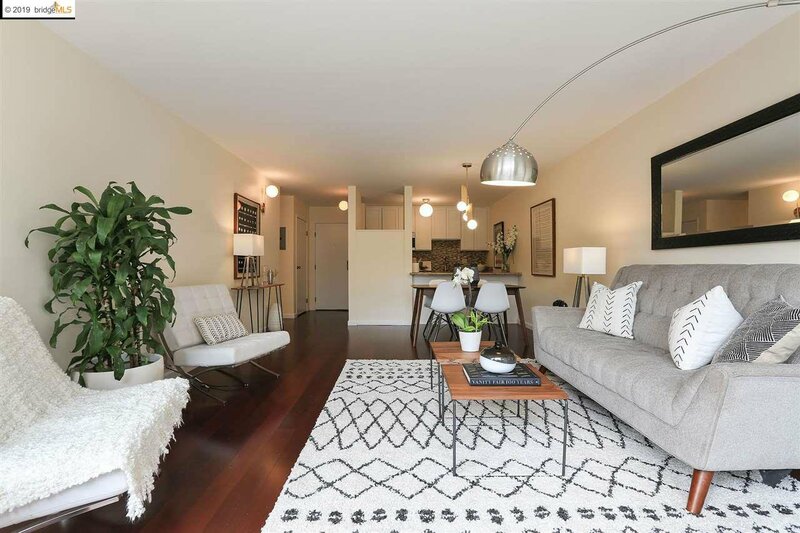 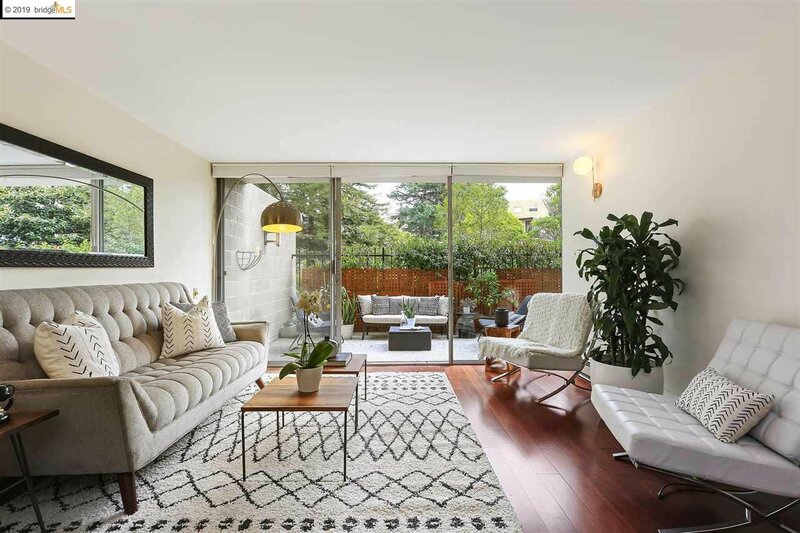 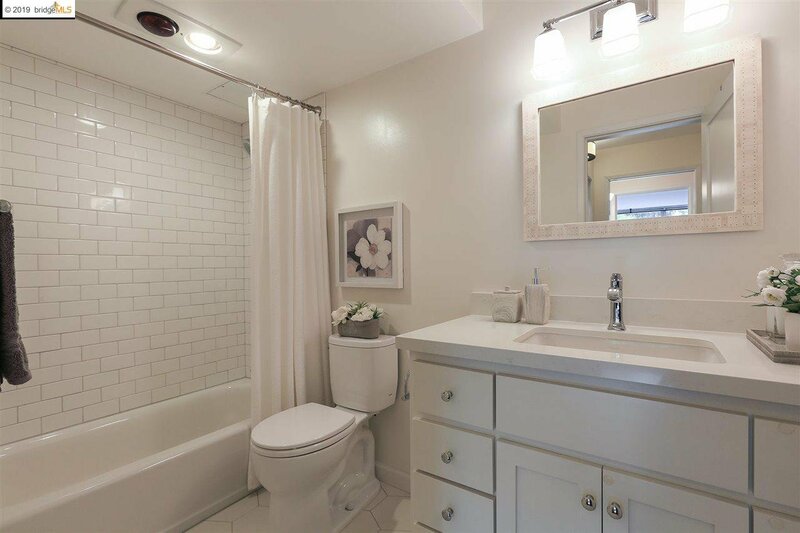 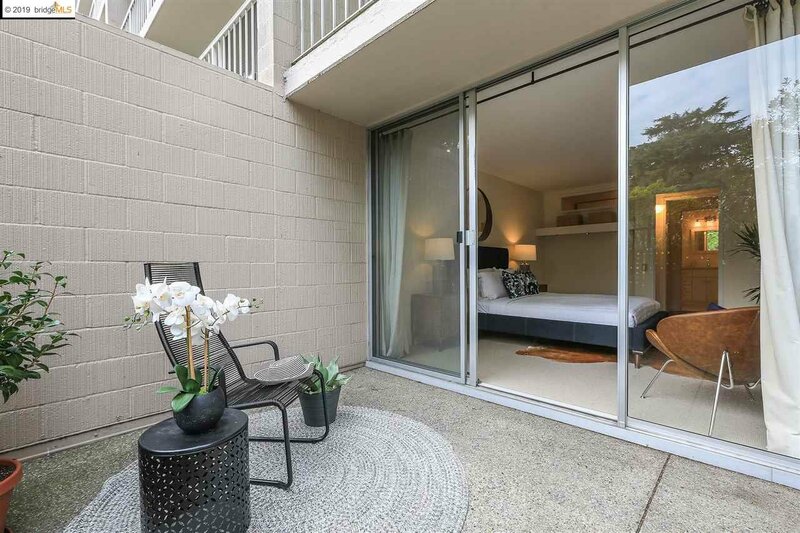 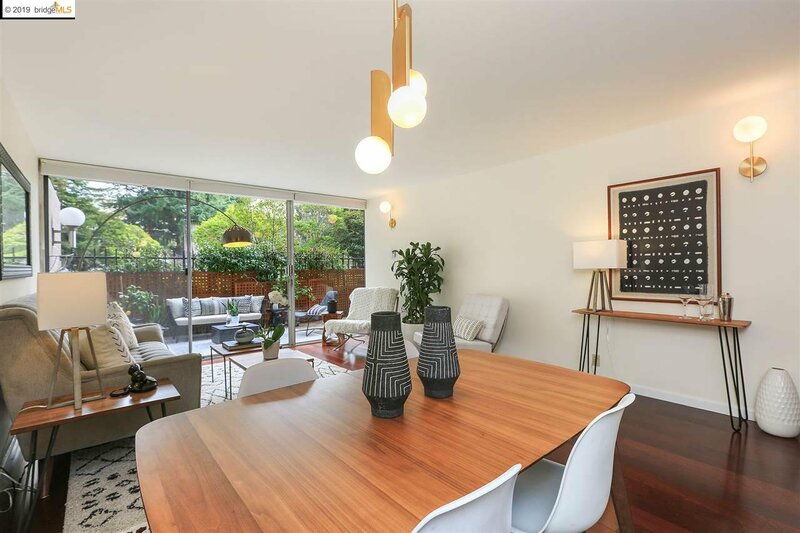 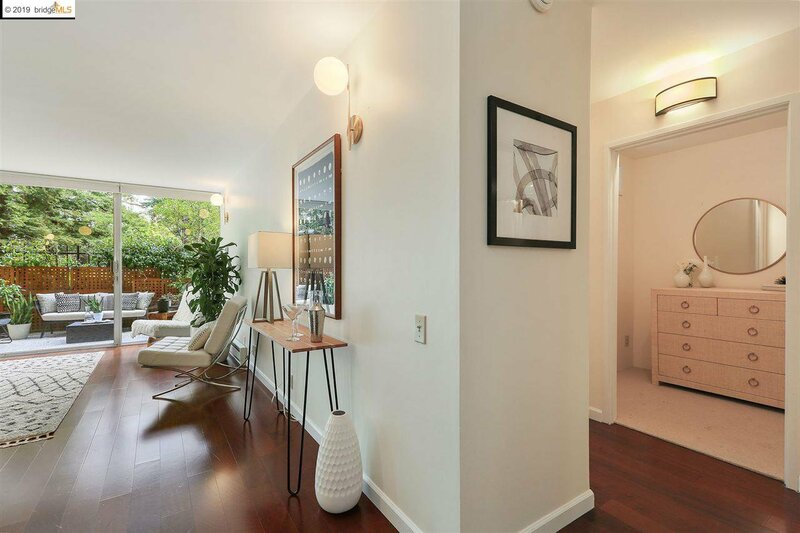 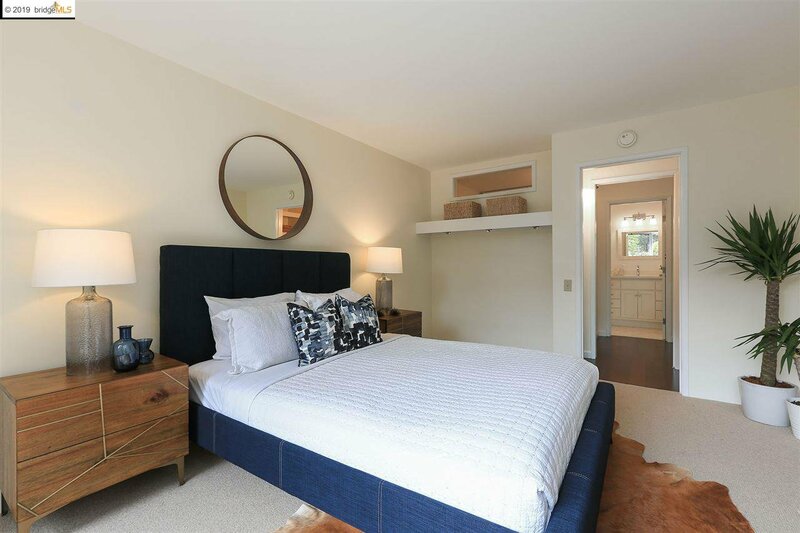 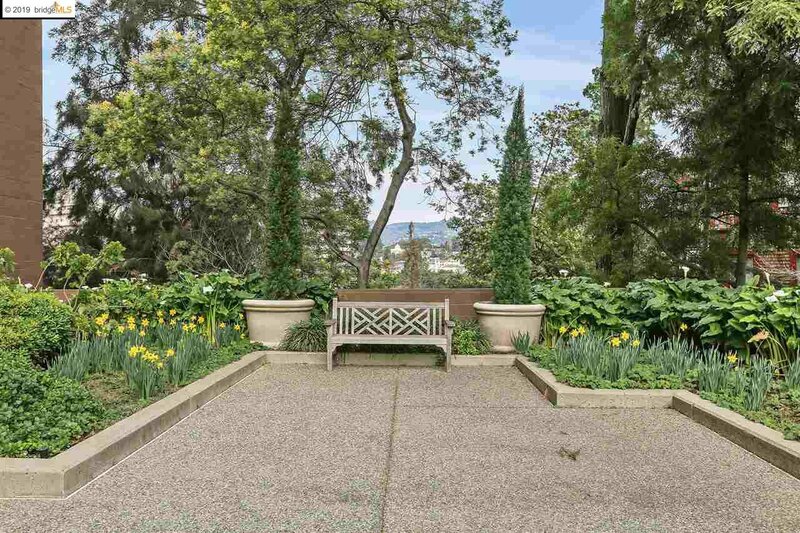 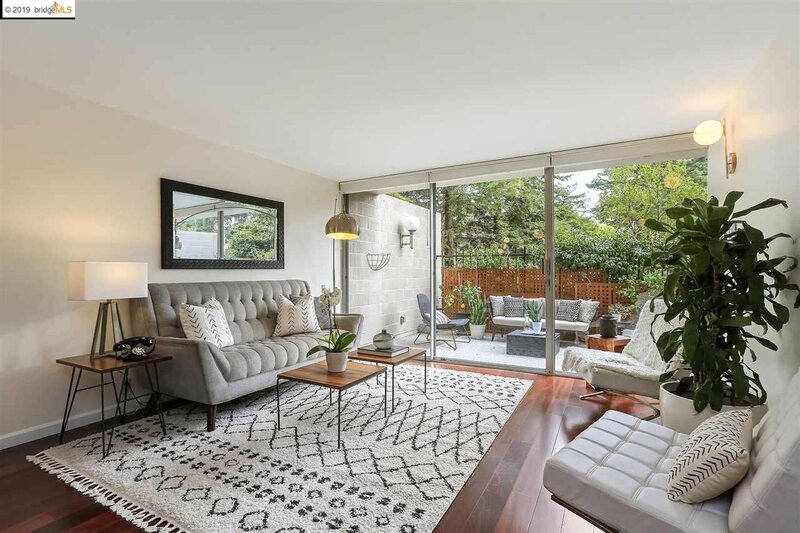 Tucked in the towering trees and colorful neighborhood homes near Piedmont Avenue is this wonderful mid-century modern style condo community. 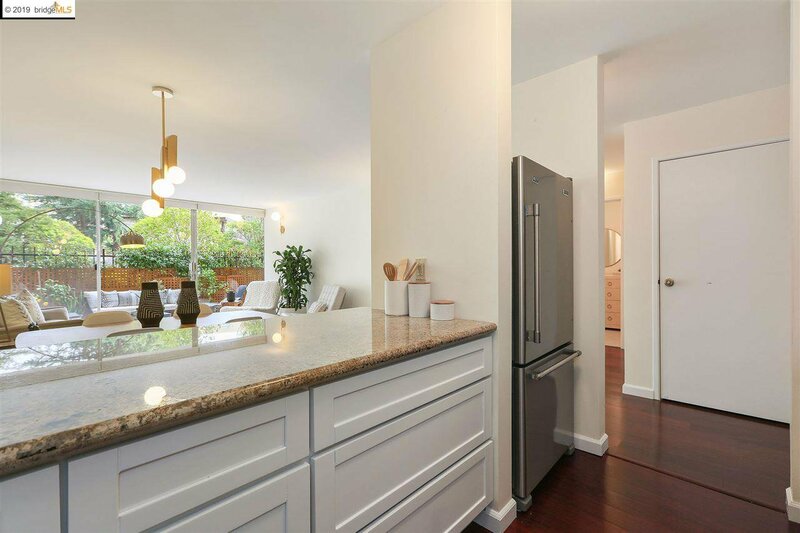 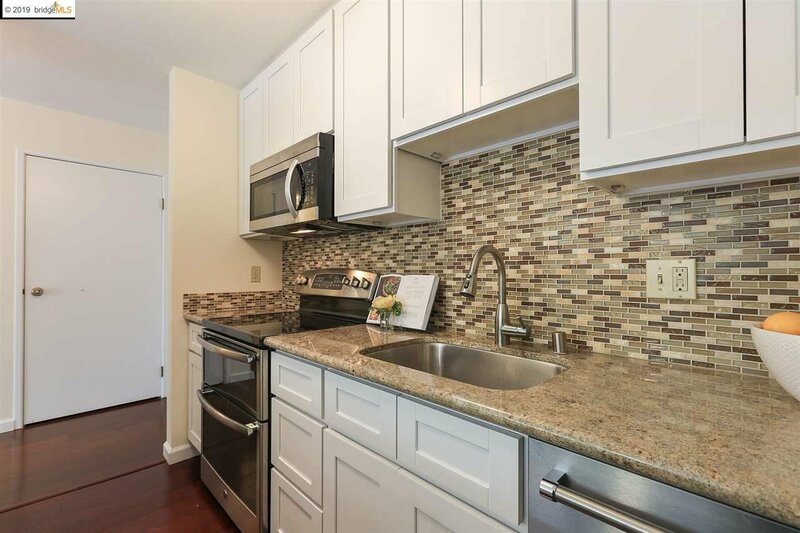 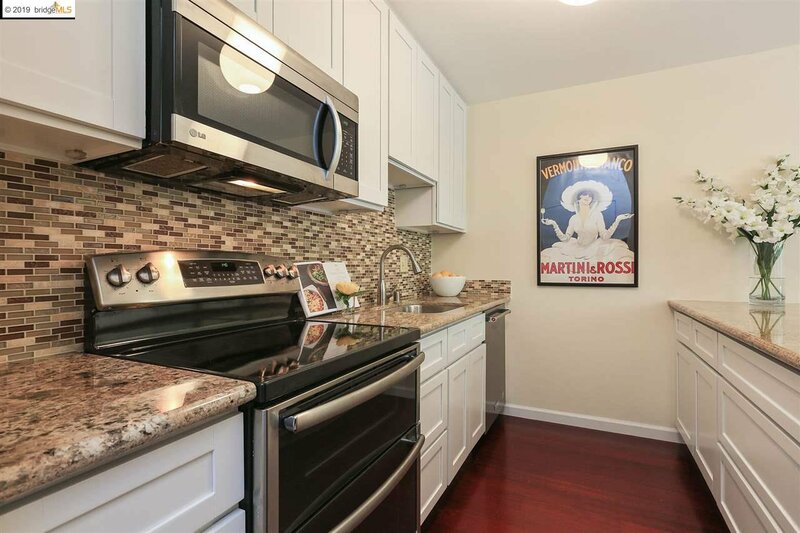 In the open kitchen, granite counters and a sleek tile backsplash beautifully complement bright white cabinetry and stainless-steel appliances. 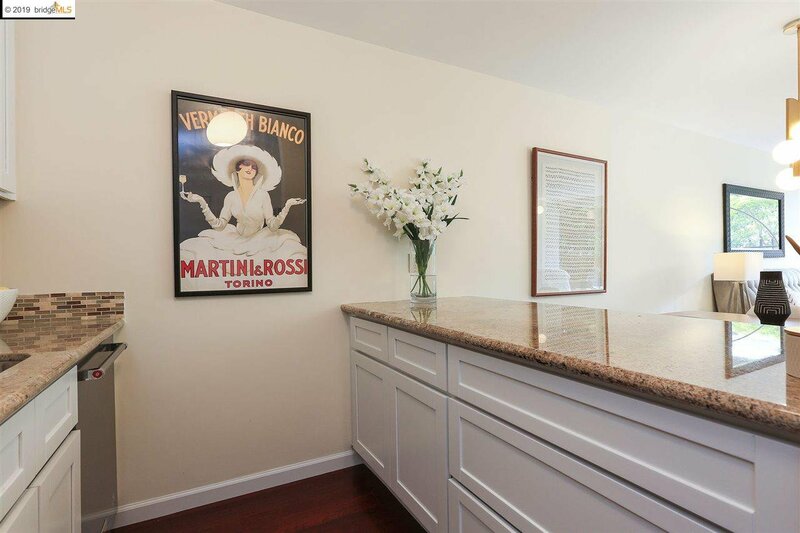 The eat-in kitchen bar with seating for three makes for great chats and casual dining. 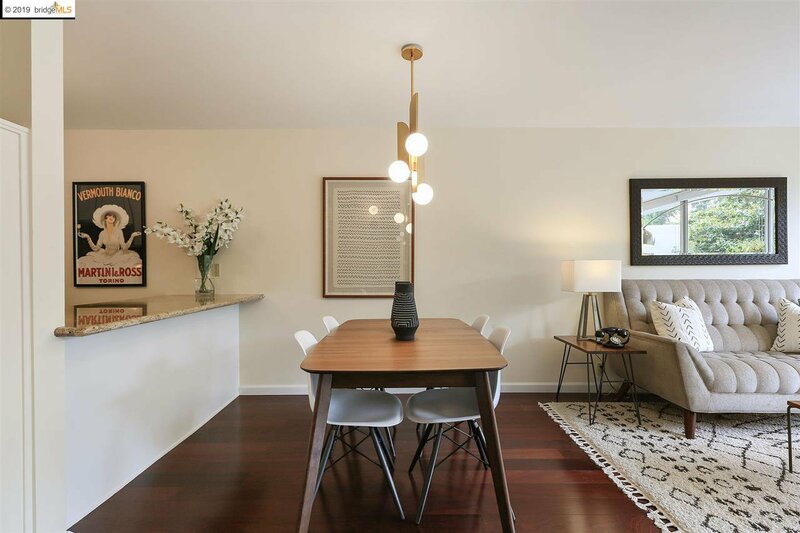 In the connected dining and family room, a floor-to-ceiling wall of glass draws light and breathes air into the living space. 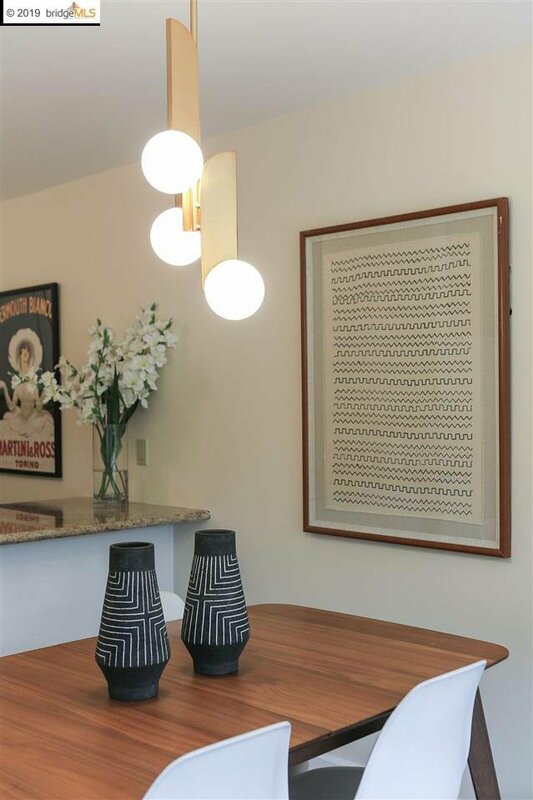 Unique West Elm light fixtures add to the mid-century style. 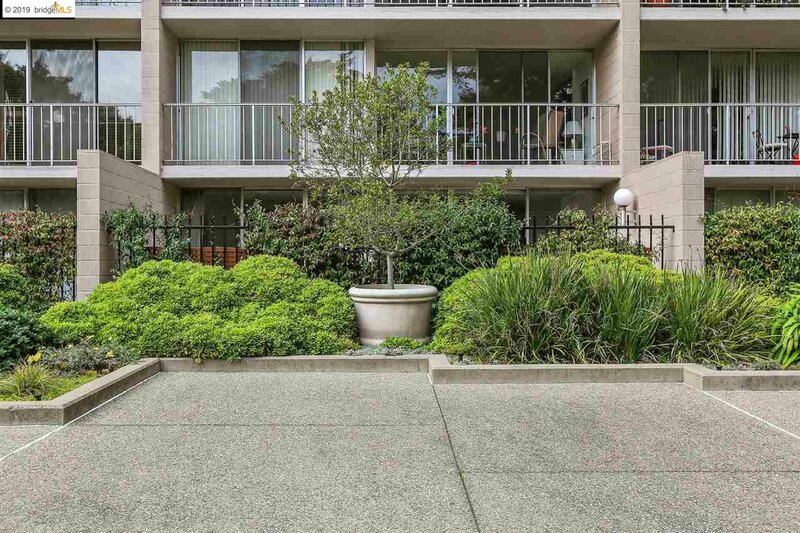 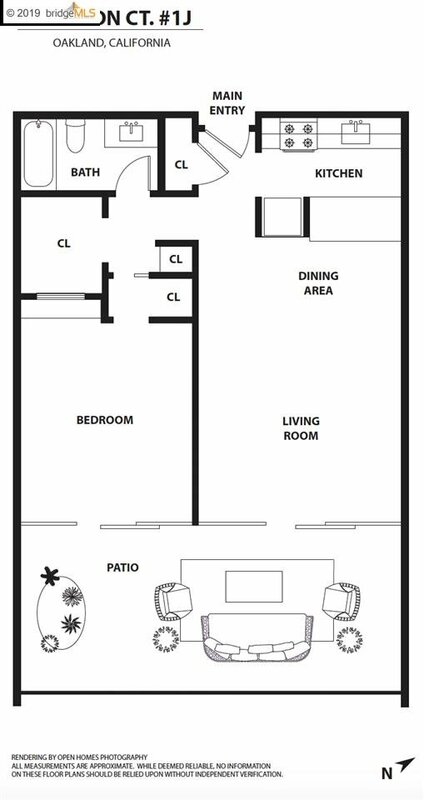 On the first floor of the building, the home has excellent indoor-outdoor access! 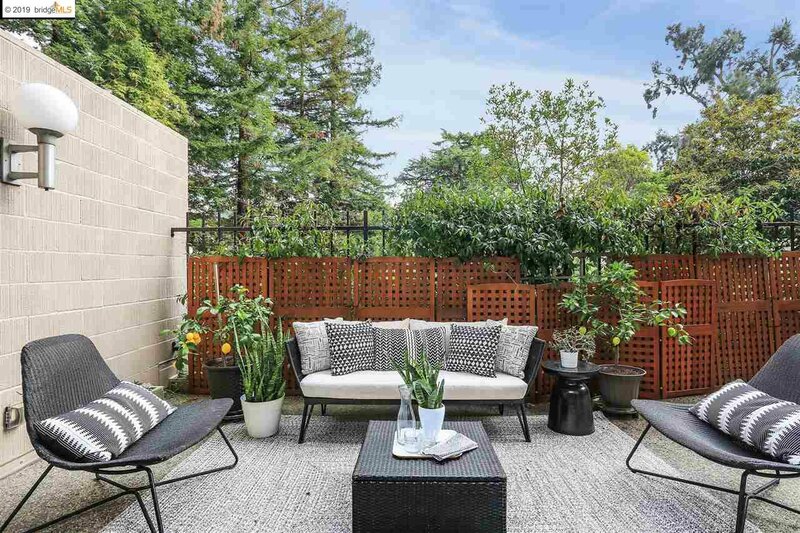 The outdoor barbecue and lounging patio is enveloped in redwoods and vibrant greenery—what a scenic, tranquil setting.